The weather is at its peak, and there are free, outdoor events – movies, live music, fitness classes, and more – all over town almost every night. 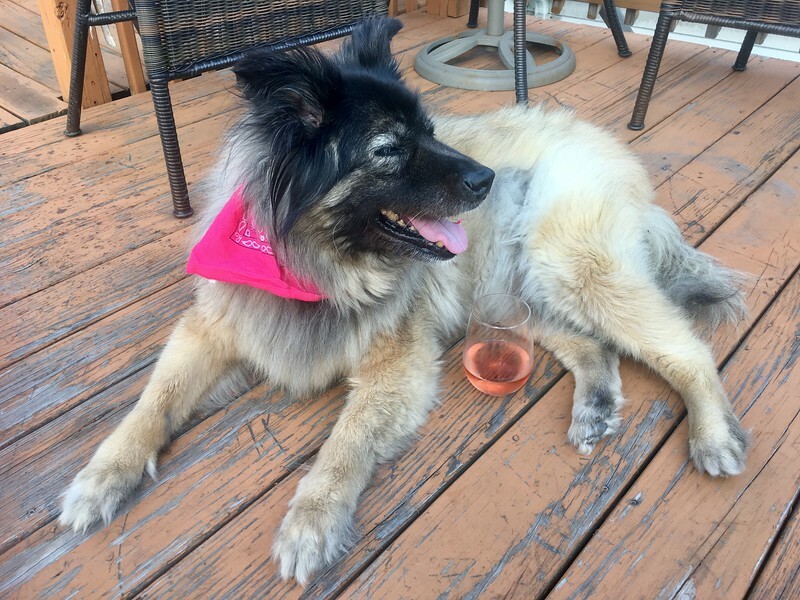 More than anything, though, I just love walking my dog every evening, then hanging out on my roof deck and watching the sun set while enjoying a glass of wine. 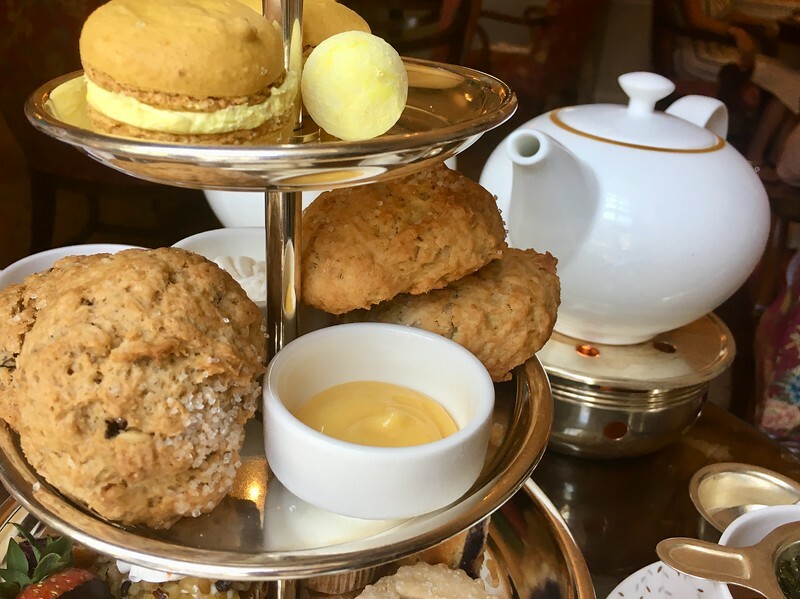 Things have been a little quiet on the blogging front, since I’ve been focusing on my “day job.” The only hosted activity I did during July and August was indulge in Taj Boston’s popular afternoon tea service with my friend Fiona of Gourmet Pigs. Even though it was about 100 degrees on the day that we picked, we still enjoyed a pot of Taj’s black blend tea. We also had fun sampling the savory sandwiches and sweet treats, and sipping a glass of sparkling rosé. One advantage of not traveling is that I’ve really been able to focus on my health this summer and take advantage of various outdoor yoga classes. 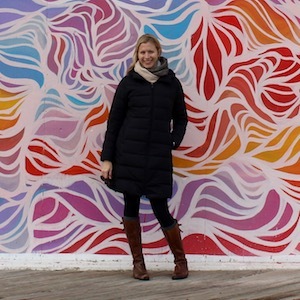 On Thursday nights, there is yoga at the Frog Pond on Boston Common, which always draws a crowd, and on Sundays, my yoga studio, Radiant Yoga, hosts yoga at Pleasure Bay in my neighborhood of South Boston. It’s so relaxing to hear the sounds of nature around you, and feel the wind on your skin while focusing on your movement and breath. I’ve also done a lot of cooking, which I miss when I travel. 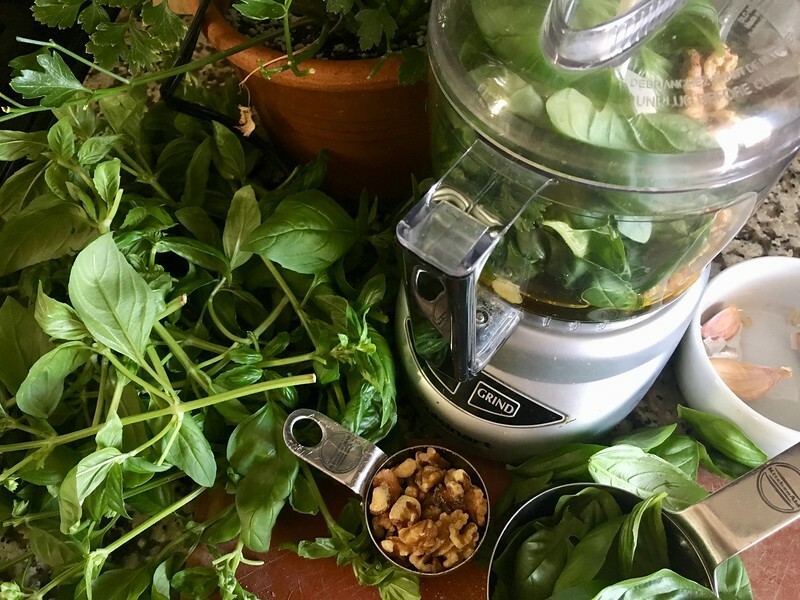 I’m very lucky to have a roof deck, where I grow all sorts of veggies and herbs, and in summer, I use them to make all sorts of smoothies and salads. My Dad came to visit me for a week in July, like he does every year. He did some sightseeing while I worked during the week, and then we made our 8th annual trek out to Greenfield, Massachusetts, for the Green River Festival. We had a great time together, as always. And music wise, I think it was my favorite year. The nightly headliners – Josh Ritter, Michael Franti and Spearhead, and Old Crow Medicine Show – were all spectacular. Then in August, due to the unfortunately death of my friend’s father, I made a trip back home to New Jersey for about a week. While I was there, I was able to celebrate my dad’s birthday by spending a day with my parents in the now-hip city of Easton, Pennsylvania, having brunch at 3rd & Ferry Fish Market and strolling around the Easton Public Market. 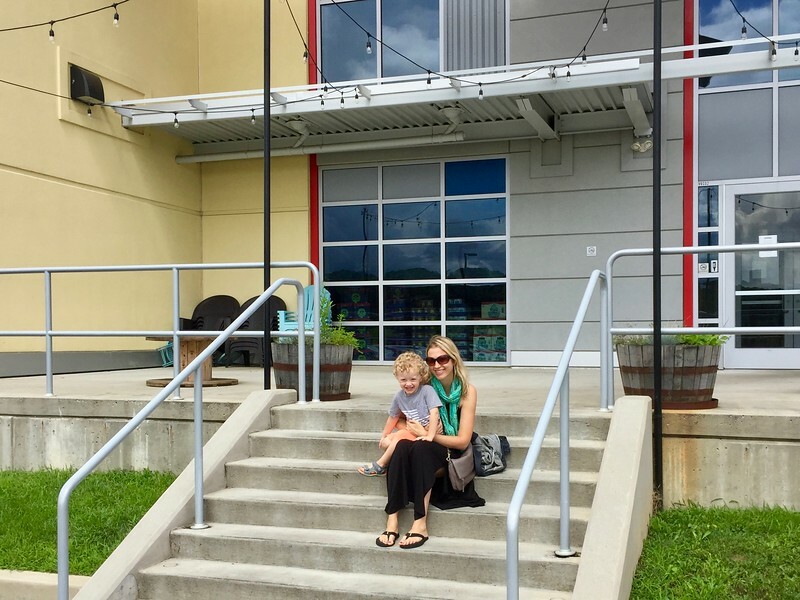 I also got to visit my cutie three-year-old nephew, Henry, and take him to lunch at Victory Brewing in Parksburg, Pennsylvania. After hosting Vicky of Buddy the Traveling Monkey in May and Brianna Simmons of Casual Travelist in June, I hosted two more travel buddies in July and August. In July my friend Kristin stayed with me for a little over a week, fresh off of a few writing assignments in India. Then in August, I hosted Palle Bo, a podcaster whom I met a TBEX in the Philippines. It was Palle’s first trip to Boston, and I had a great time showing him around my neighborhood, the Waterfront and Harvard Square. I also hosted a few ladies from the Wanderful Boston chapter for a meetup one evening. We had a lovely time sampling international wines and snacks on my roof deck, while talking about travel, of course. My dog, Lucy, had a good time too! Speaking of Lucy, she is going to be turning 13 in September, so I’ve tried to spend a lot of quality time with her this summer. We both love going for walks on the beach in my neighborhood, and she enjoys taking a dip in the water to cool off. I’m lucky to have a group of very close girlfriends here in Boston, but unfortunately, it’s hard to get our schedules to align, especially in the summer. We all managed, though, to make it to Narragansett, Rhode Island, for a weekend at our friend’s house. We had two great beach days, a fantastic seafood dinner and some tasty ice cream on the way out of town. 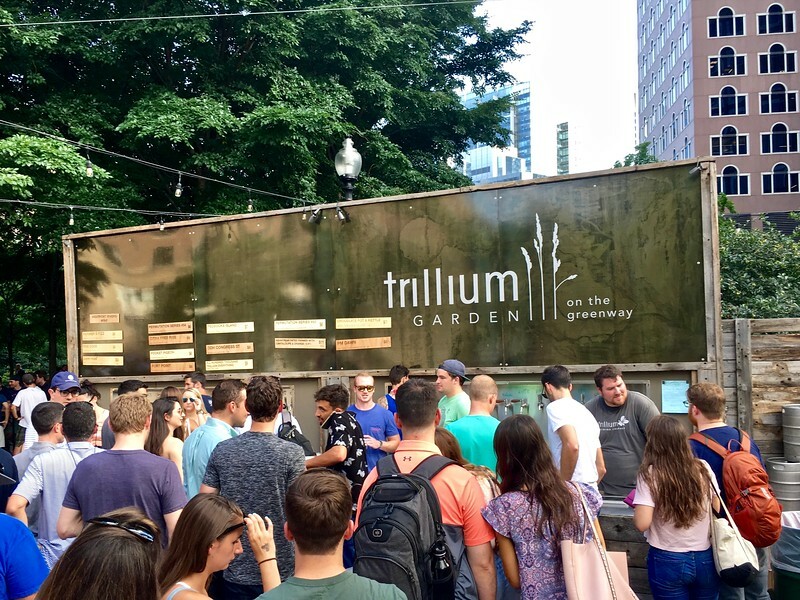 A lot of new beer gardens have sprung up throughout Boston this summer, and I’ve been trying to check them all off. 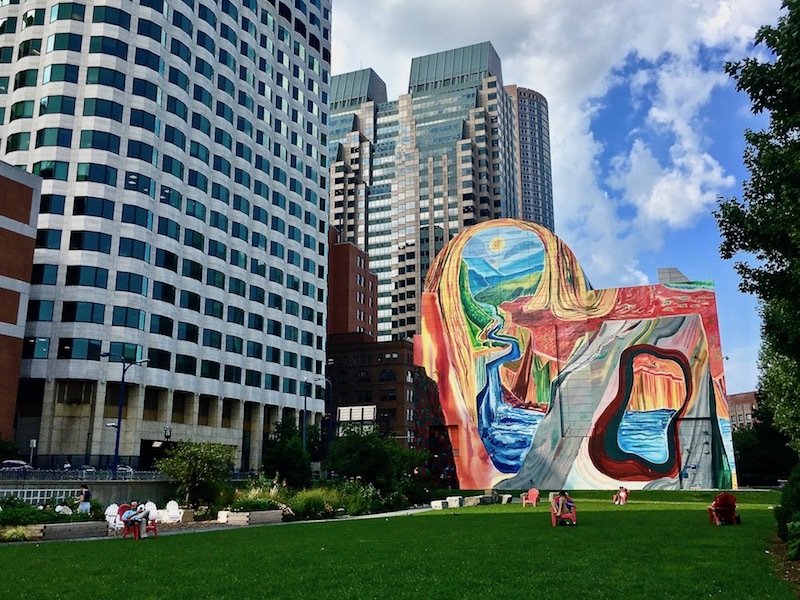 So far I’ve hit Wachusett Brewery at Government Center, Trillium Brewery and Downeast Cider on the Greenway, and Cisco Brewery in the Seaport District, and enjoyed them all. I also tried worker-owned Democracy Brewing, which opened in Downtown Crossing on July 4, and a new women-owned wine bar in the Fenway called Nathálie. Fiona and I visited one of my long-time favorites, Bella Luna and the Milky Way in Jamaica Plain, which is celebrating its 25th anniversary. One tourist attraction I visited for the first time was Boston Athenæum, one of the oldest independent libraries in the United States, and I took in a Red Sox game at the famous Fenway Park as well. It’s going to be hard to say goodbye to summer this month, although I do love Fall in New England. I’m really excited to be heading to my second TBEX – this one in Corning, New York – next week. And, most importantly, I’ll be celebrating Lucy’s 13th birthday on September 22. What a wonderful post! Although I was born in Boston, I hadn’t visited for many years — until this spring. It is now my second favorite city.